Our school is acknowledged by Navigation Authorities. Every year dozens of learners are successfully prepared by our teachers and obtain motor boat driving permits. All our teachers are fluent in English. Lessons and practical exams are held at Port des Abériaux, Prangins. A wide, free parking area is available at the harbour. School's club house is located near the harbour crane. Lessons are given upon appointment, Monday to Saturday. - Lessons in a group of 2. - Lessons on private boats and in different harbours. Upon request, we can also train you for your theory exam. 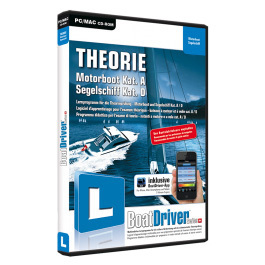 We use and sell Boatdriver Swisstheory program.